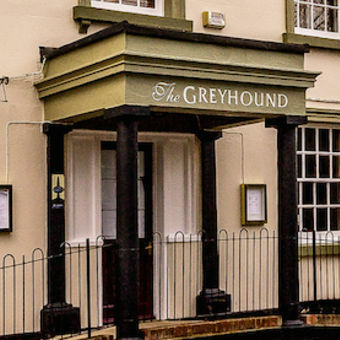 Enjoy delicious home-cooked food at the Greyhound Pub! Take a look at our sample menus to suit all occasions! At The Greyhound Wigginton we want you to enjoy your food that’s why we bring you delicious dishes that combine the best of English pub food with touches of contemporary cuisine, Head Chef Phil Waters proudly promote seasonal & locally grown produce this means our menus change throughout the year. We are renowned for our traditional pub menu and Special Dishes which are changed daily. All our menus on the website are sample menus so we can change our menus to the perfect seasonal dishes throughout the year. Our popular children’s menu, greyhound grill menu and Dessert Menus provide something for everyone to enjoy. We now offer a Gluten Free Menu. The Greyhound can also cater for dietary requirements and allergies please advise us when booking and discuss with your server on arrival. Treat your loved one with our new 3 course Valentines menu! The Greyhound is in Wigginton!